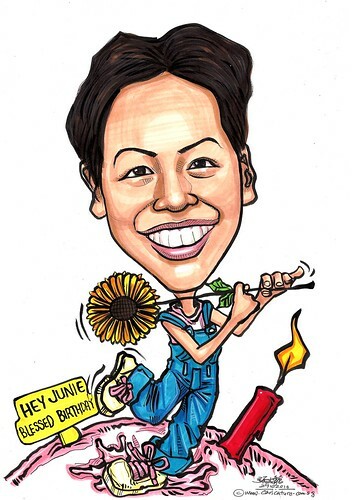 with the words "Hey Junie, Blessed Birthday", inside is blank.....also, in the picture can you include junie holding a stalk of sunflower"
I don't do printing on card. I get this caricature scanned into softcopy. The client printed it out in a smaller version for the birthday card.